Home to the Rocket Capital of the World in Huntsville, the state of Alabama is blasting off in terms of its business climate. Overall, Site Selection ranked Alabama No. 8 in its 2018 Business Climate analysis, tied with Indiana. Another economic development-focused publication, Business Facilities, ranked the state No. 1 for Best Business Climate. Area Development, a national publication, ranked Alabama No. 3 in its Top States for Business survey, and Global Trade selected the state as the nation’s No. 1 for manufacturing in a comprehensive ranking. Economic development activity generated $33 billion in new capital investment in Alabama between 2011 and 2017, along with 125,000 anticipated jobs, according to information from the Alabama Department of Commerce. 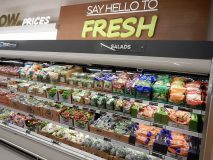 Alabama Grocers Association President Ellie Taylor said Alabama’s economy is doing “extremely well” and is expected to continue growing in 2019. Overall, the forecasted growth for 2019 is 2 percent, which is just slightly below the 2.2 percent growth in 2018, she said. Wage and salary employment grew by 1.7 percent from November 2017 to November 2018, “tying with October 2018 and July 2015 for the largest over-the-year percentage growth in history,” Taylor said. The unemployment rate in Alabama currently is at 4 percent. State tax revenues are expected to increase by about 5 percent in fiscal 2019, after increasing by 6.5 percent the previous fiscal year. When the state legislature convenes March 5, there are several issues AGA will be keeping a close eye on, including what Taylor termed a “major push” from the business community to increase the state gasoline tax to fund major infrastructure improvements. The tax has not been raised since 1992, she said. “Alabama has a high number of unsafe bridges and roads that need improvement, as well as roads needed for expanding economic opportunities,” Taylor said. Another area of concern is lack of local control, or home rule, in the state, Taylor said. Taylor said as Sunday grocery sales increase, it is becoming more important to have a level playing field in all areas of the state in terms of alcohol beverage sales. Taylor said AGA is expecting to see more bills requiring equal pay and another effort to raise the state’s minimum wage. “Birmingham continues to push to increase the minimum wage even though legislation was passed to reserve the right to the legislature,” Taylor said, adding that the issue currently is in litigation. While legislative issues remain to be addressed, grocers in the state are capitalizing on the growing economy. Taylor said Publix, Aldi, Rouses and several independents are continuing to grow throughout the state, and Amazon has announced a new fulfillment center that will employ more than 1,500 people in the Bessemer area. Taylor said she was not aware of any new grocery competitors coming into Alabama. She said Lidl was scheduled to come into the Decatur area but has changed its plans. In addition, online grocery shopping (and delivery) continues to grow in popularity in the state. Shipt, which was founded in Birmingham in 2014, first introduced online shopping and delivery to the state (it was acquired by Target in late 2017). Shipt announced a major expansion in 2018, adding about 1,000 more jobs to the area, Taylor said. One issue the online grocery format has brought to the attention of associations is legislative challenges, Taylor said. Both chain and independent grocers are expanding their presence in the Alabama market. Several new stores are planned for the state; a number of others are scheduled for renovation. Lakeland, Florida-based Publix Super Markets Inc. is staying busy in the Alabama market. With 71 stores currently in the state, Publix is planning six new stores and renovating five others. The company also announced Jan. 4 it was purchasing two Western Market leases in Birmingham (see cover story). According to Brenda Reid, a media and community relations manager for Publix, the six new stores will be located in Birmingham at Lakeshore Pavilion; in Madison at The Shops at Pine Grove; in Hoover (Publix at Tattersall Place); in Northport at Shops at Bristol Park; in Vestavia Hills at The Marketplace at the Bray; and in Foley at Riviera Square. Of the two Western Market locations, one will be renovated and the other will be rebuilt, Reid said. The location in Mountain Brook will open as a GreenWise Market. The Vestavia Hills location will open as a Publix. The acquisition is expected to close in March. GreenWise Market is a specialty, natural and organic store featuring a variety of house-prepared meals, grab-and-go items and unique products. Of the stores scheduled for renovation, Reid said she was unable to share their locations. She did say the company evaluates each store every five years to determine the level of upgrades needed at that particular store. In addition to the Huntsville-area stores, in 2018 Publix also opened new stores in Saraland, Madison and Decatur. It also acquired a Winn-Dixie lease in Gulf Shores. Continuing to research and listen to its customers, Publix is seeing strong growth with its delivery service, Reid said. “We want to offer a premier shopping experience for those customers who shop in our stores or order online for delivery or pickup,” she said. In 2018, Aldi opened new stores in Pelham and Prattville, bringing the number of stores in the state to 26. With a new store opening Jan. 16 in Huntsville, Aldi is continuing grow in Alabama. Aldi Mount Juliet Division VP Troy Marshall said Aldi is one of America’s fastest-growing retailers. 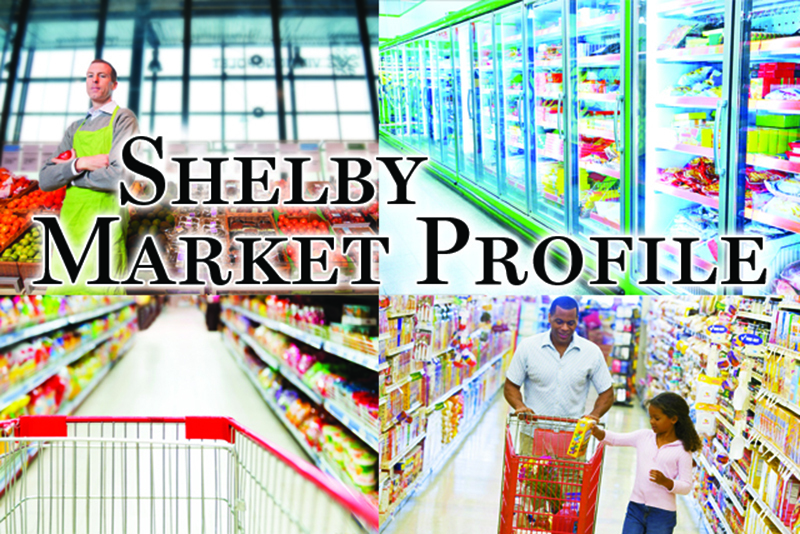 to 2,500 stores by the end of 2022,” Marshall told The Shelby Report. 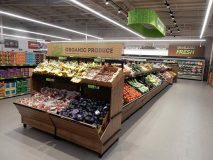 The company’s sales have doubled in the past five years, and it plans to double them again over the next five years, he said, adding that Aldi opened 150 new stores in 2018 and expects to open another 150 stores across the country in 2019. Marshall said Aldi is constantly evaluating new markets and is excited to join the Alabama community. He noted that in a 2018 Harris Poll, Aldi was named the No. 1 brand people would welcome into their community. Aldi sells frequently purchased grocery and household items, primarily under its exclusive brands, which meet or exceed national name brands on taste and quality, Marshall said. “Aldi has been one of America’s favorite grocery retailers, and for the eighth consecutive year, the value leader for grocery shoppers, according to a 2018 survey of U.S. consumers by Market Force Information,” he said. Rouses entered the state of Alabama in 2014 with the acquisition of five Belle Food Stores. In 2018, Rouses opened stores in West Mobile and Orange Beach, bringing its total number of stores in the state to seven. A new store is scheduled to open in Daphne this year, CEO Donny Rouse told The Shelby Report. That puts it squarely in Rouses’ current marketing area in the state—Mobile and Gulf Shores. Rouse said while the company is not currently looking to expand northward from there, at some point it will. Customers in Alabama have been very welcoming to Rouses and its Louisiana style. Rouse said the economy in the region “feels good” and the stores are performing well. He said Rouses brings Louisiana items and Louisiana flair to the market, along with a heavy presence of fresh local seafood. “In all our markets, we do very well with the fresh seafood,” he said. Target, which now owns Shipt, as noted, began offering same-day delivery to its first markets—57 stores across Birmingham, Alabama, and South Florida—in February 2018. Consumers in those regions may use Shipt’s online marketplace to browse participating local retailers’ aisles online and purchase from a full selection of grocery and household items. Shipt shoppers then take the orders, visit the stores to buy the products and deliver them to users on the same day, usually within just a few hours. 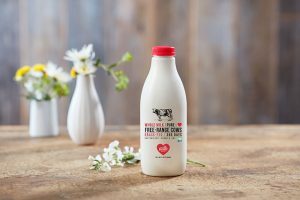 “Our teams moved at lightning speed to get Target up and running on Shipt’s platform in less than eight weeks,” said John Mulligan, Target’s COO. The strategy will mean unprecedented growth for Shipt, too, according to the company. In March 2018, Mitchell Grocery Corp. entered into an agreement to purchase three Winn-Dixie store locations in Alabama from Winn-Dixie’s parent company, Southeastern Grocers LLC in Jacksonville, Florida. All three stores are located in northeast Alabama in the cities of Jacksonville, Oxford and Pell City. Mitchell Grocery purchased the stores on behalf of two of its customers—Johnson’s Giant Foods and The D’Alessandro Organization LLC. Johnson’s owns and operates the Jacksonville and Oxford locations; D’Alessandro owns and operates the Pell City location under the Fresh Value banner. “We are thrilled about this agreement and the opportunities it presents for two of our operators to expand and grow their businesses. We look forward to welcoming and serving new customers and employees in the Jacksonville, Oxford and Pell City areas,” said David Mitchell, president of Mitchell Grocery, in a press release announcing the deal. Mitchell Grocery Corp.’s distribution center is located in Albertville and supplies 175 independent supermarkets in Alabama, Georgia, Mississippi, Tennessee, Kentucky and Florida. Johnson’s operates three stores in Gadsden and Attalla. Gerry D’Alessandro of The D’Alessandro Organization operates four stores in Bessemer, Trussville and Oxford. Walmart hosted a grand opening celebration in August 2018 to commemorate the official opening of its new $135 million distribution center in Mobile. The center was designed to help strengthen Walmart’s supply chain network, the retailer said. Alabama Gov. Kay Ivey and local officials were on hand and highlighted the benefits the new 2.6 million-s.f. facility will bring to the area, including increased regional economic growth and local career opportunities with a path of advancement. The new storage and cross-dock facility will supply several regional distribution centers that support approximately 700 Walmart stores in Alabama, Mississippi and beyond.